My Original S6 that I blew up the esc board is now fixed, just waiting for decent weather to test. Sadly I was unable to fix the esc board I blew up, besides replacing all the 12 mosfets that had blown along with a few resistors, sadly only the rear motors worked. This was due to one of the DJI ESC1000 chips having a short on it, and I cant source these chips anywhere. Its a pity Wingsland or some other dealer cant supply parts like this. So what I have done for now is remove the esc board from a new spare S6 I have. This was easier than say using the new spare S6 I had and having to drill holes and cut away a bit of plastic and also grind down a bit inside to take bigger lipos. 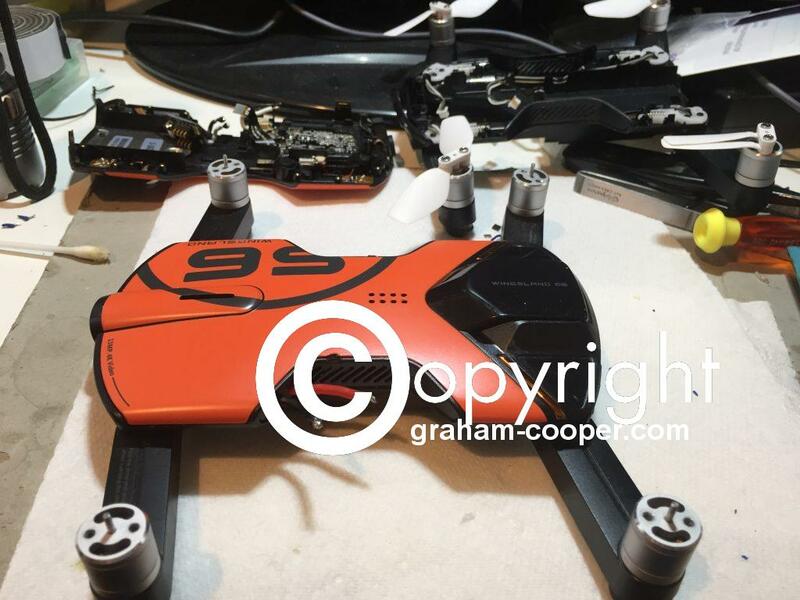 I hope at some stage in the future to get hold of maybe a crashed or smashed S6 and replace the esc board that way. Transplant complete , with new one in background with now no esc board. 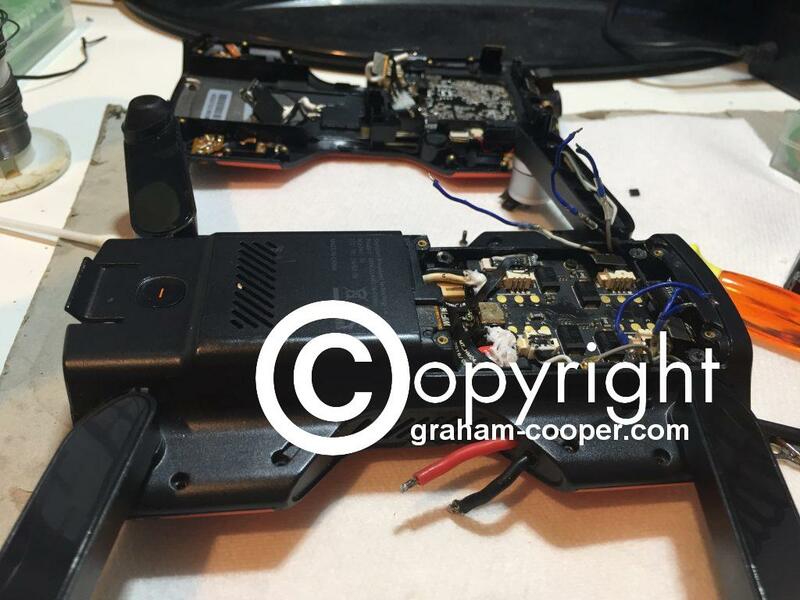 Just need to solder on a connector for the external lipo lead and solder motor wires back on. As the 2 front motor plugs had started to melt. All back together now and tested that app connects and motors spin up okay before I fit back props and back to testing different lipos and props. This entry was posted in Radio Control Models, Wingsland S6 and tagged Wingsland S6 ESC. Bookmark the permalink.